When you socks get too worn out to wear you can always take some of those old socks and convert them into some really fun sock puppets. 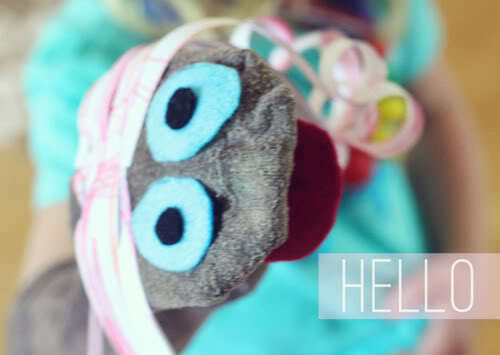 With some felt (or any scraps of material you may have on hand), paper, glue and, of course, a sock - you can create your own stock puppets like the one in the photo above. Click here and let Indie Berries show you how it's done.